Says Me Says Mom: Giveaway: Win One of 3 Snackpals in the Oh the Places You'll Go Giveaway Hop! 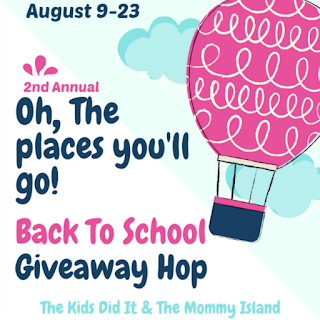 Giveaway: Win One of 3 Snackpals in the Oh the Places You'll Go Giveaway Hop! I would love to invent a house cleaner. Me too! Thanks for visiting Says Me Says Mom and for your comment. A toilet cleaner that works on its own. That would be nice, wouldn't it? Thanks for visiting Says Me Says Mom and for your comment. I wish someone could invent a better door mat that get all the dirt off your shoes before you come in even in the shoes are wet and dirt is sticking to them. That would be a good idea. Thanks for visiting Says Me Says Mom and for your comment. I would invent car tires that never go flat. I would love that! Thanks for visiting Says Me Says Mom and for your comment. I am with you on that! Thanks for visiting Says Me Says Mom and for your comment. A dog wash similar to an automatic car wash! We don't have a dog but I can see how that would be useful. Thanks for visiting Says Me Says Mom and for your comment. That would be great! I would love that! Thanks for visiting Says Me Says Mom and for your comment. That would be cool. Thanks for visiting Says Me Says Mom and for your comment. Ive been following a macro food program, so a robot who could weigh and prep my food for me everyday. That would be useful. Thanks for visiting Says Me Says Mom and for your comment. Sounds great to me! Thanks for visiting Says Me Says Mom and for your comment. I wish they could invent a little capsule like from the Jetsons that would be an entire meal with no mess. That would be especially great for eating with small children. wouldn't it? Thanks for visiting Says Me Say Mom and for your comment. I am hoping it won't be long until they get smaller robots that will clean the house thoroughly!! Me too, me too!!! Thanks for visiting Says Me Says Mom and for your comment. I would love a product that would fold and put away the clothes. Yes, it is not the doing of the laundry it is the sorting, folding and putting away that is annoying. I agree. Thanks for visiting Says Me Says Mom and for your comment. I wish they could invent a product that would automatically clean the whole bathroom everyday, especially the shower stall tile! Sounds good to me! Thanks for visiting Says Me Says Mom and for your comment. My kids are old enough to get themselves ready but something like that would have come in handy when they were younger. Thanks for visiting Says Me Says Mom and for your comment. Something that cleans up the mess after they get done having their snacks. If I could invent a new computer that works off my thought patterns my life would be easier. I can type but I am slow so that invention would speed up my work. Also, I would forget things less since they would be in print and not just in my mind. Sounds good to me. Thanks for visiting Says Me Says Mom and for your comment.